Vietnamese President Nguyen Minh Triet and Croatian President Stjepan Mesic have pledged to step up trade between the two countries. 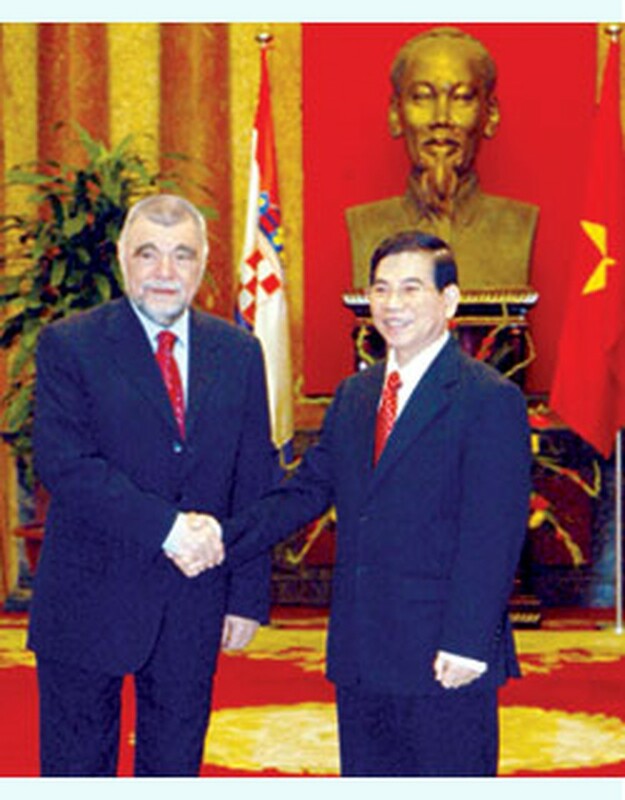 Vietnamese President Nguyen Minh Triet(R) welcomes Croatian President Stjepan Mesic (L) at the President Palace in Ha Noi, March 10, 2008. At their talks held after an official welcome ceremony for the Croatian President in Ha Noi on March 10, President Triet assured his guest that Viet Nam attaches importance to its traditional friendship and cooperation with Croatia on the basis of equality and mutual understanding, in line with its foreign policy of independence, diversification and multilateralisation and proactive integration. 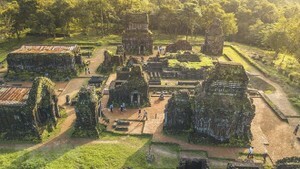 The State leaders agreed that there is a great potential for Viet Nam and Croatia to expand their cooperation, and the signing of an economic cooperation agreement expected in this visit will facilitate cooperation in the oil and gas, infrastructure construction, tourism and food industries. During the meeting, the leaders also discussed international and regional issues of common concern and pledged to coordinate more closely as non-permanent members of the United Nations Security Council. Croatian President Mesic invited President Triet to pay an official visit to Croatia . After the talks, President Triet and President Mesic witnessed the signing of a Viet Nam-Croatia economic cooperation agreement and an agreement to provide visa exemptions for diplomatic passport and business passport holders. Meeting with the press, both leaders said they believed the visit was an important event bringing the traditional friendship and multifaceted cooperation between Viet Nam and Croatia to a new height, with more practical and fruitful results. They said they have agreed upon fields the two countries will boost their cooperation in, including economics, trade, investment, education, science and technology, and tourism. The Croatian President arrived in Viet Nam on March 9 and will visit the country for three days.